Ardell DuraLash Natural (12 mm long) lashes resemble naturally long and luscious lashes. They are KNOT FREE, weightless, waterproof, and easy to apply. Each package contains 56 individual long length lashes, knot-free, which means they don't have those clumsy knots or dark bands. These individual clusters can be worn for up to 6 weeks at a time. Use more clusters for more volume and fullness or just use a few to accentuate the corners of your lashes for a more natural look. Ardell Runway Lashes Naomi (Black #65029)Catch these lashes on fashion show runways worn by high fashion models to create and compliment dramatic and beautiful designer looks. 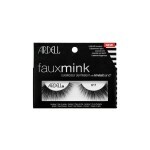 Preferred by makeup artists and professionals who style these shows.Size: 1 PairFeatures & Benefits: Sterile, safe and easy to use Natural look and feel Lightweight and reusableUsage Instructions: Check Fit: Lay lash on ..
Ardell Faux Mink Lashes #811Ardell's Faux Mink Eyelashes #811 is all about attitude with its layers of full and fluffy-looking base contrasted by sharp longer pieces. It is made up of beautiful layers of criss-cross faux mink hairs all over. They are smokey-looking when worn so you'll have that gorgeous, classy, and dramatic look. 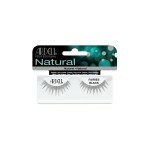 Each pair is handcrafted, delicately curled and layered for a flut..
Ardell Duralash Natural Combo Ardell Duralash Natural Combo are ideal for first-time individual eyelash users. The Combo pack comes with a total of 56 knot-free individual lash clusters. With three varieties of lengths, lash users can choose from a subtle natural lash look by using the shorter lashes or amp up their look with the longer lashes. Either way, the knot-free lash clusters blend flawles..
Ardell Runway Lashes Claudia (Black #65028)Catch these lashes on fashion show runways worn by high fashion models to create and compliment dramatic and beautiful designer looks. Preferred by makeup artists and professionals who style these shows.Size: 1 PairFeatures & Benefits: Sterile, safe and easy to use Natural look and feel Lightweight and reusableUsage Instructions: Check Fit: Lay lash o..
Ardell Invisiband Sexies (Black #65027)These lashes feature an invisible, lightweight band that connects the hair strands to form a strip that ensures secure corners. 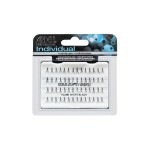 They are knotted and feathered by hand for perfect uniformity, absolute comfort and an outstanding natural look.Size: 1 PairFeatures & Benefits: Sterile, safe and easy to use Natural look and feel Lightweight and reusableUsage Ins..
Ardell Magnetic DisplayEasy to apply, no adhesive needed, reusable. 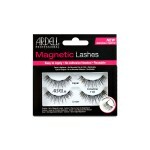 Real Magnets Real Curves Real Ease Real Human Hair Real Artistry ..
Ardell Duralash Flare ShortArdell Duralash Flare Short (8 mm long) individual eyelashes are KNOTTED, weightless, waterproof, and easy to apply. They're so natural you'll forget they're not your own. 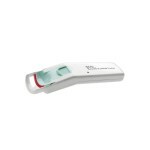 The individual lashes can be worn for up to 6 weeks at a time. 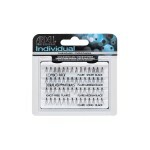 Each package contains 56 easy to apply individual lash clusters. Use more lash clusters for added fullness and volume. 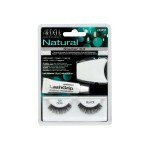 Use less lash clust..
Ardell Beauty Double Up Volumizing MascaraGet The Look Of Double Up™ False Lashes In 2 Steps. The first mascara to replicate the dramatic, double-layered effect of Ardell's Double Up False Lashes. 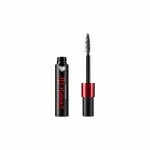 Instantly doubles the volume for glamorous lashes so thick and dense, it looks like you have twice as many! Double action lets you finesse the finish. 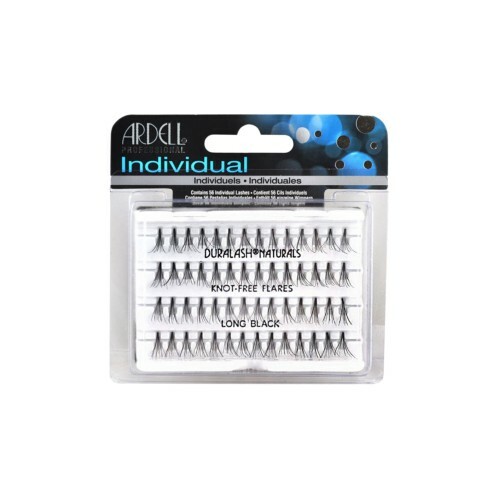 THICKENING: Pull brush through wide mid cap to uplo..
Ardell Beauty Wispies MascaraCreate the look of Ardell Beauty most iconic lash style. The first mascara to mimic the look of our best-selling Wispies lashes. Fiber building formula with a special hourglass-shaped wand creates your favorite faux lash finish in one step. Hair-like fibers adhere to fringes to amp up volume, length and dimension all day long.Features & Benefits: Lengthening Volumiz..
Ardell Fashion Lashes #105 (Black #65002)Ardell Fashion lashes #105 are handmade to exact specifications. 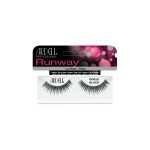 These fabulous natural looking lashes have beautifully curved longer strands, which create full looking, voluminously flirty lashes.Size: 1 PairFeatures & Benefits: Sterile, safe and easy to use Natural look and feel Lightweight and reusableUsage Instructions: Check Fit: Lay lash on top of..
Ardell Runway Lashes Giselle (Black #65007)Catch these lashes on fashion show runways worn by high fashion models to create and compliment dramatic and beautiful designer looks. Preferred by makeup artists and professionals who style these shows.Size: 1 PairFeatures & Benefits: Sterile, safe and easy to use Natural look and feel Lightweight and reusableUsage Instructions: Check Fit: Lay lash o..
Ardell Magnetic Lashes Double #110Easy to apply, no adhesive needed, reusable.Features & Benefits: 4 small secure magnets end to end for a budge proof fit Top lash and bottom lash lock together Pre-curved band for perfect contour fit 100% human hair Most natural full strip lash..
Ardell Magnetic Lashes Double Demi WispiesEasy to apply, no adhesive needed, reusable.Features & Benefits: 4 small secure magnets end to end for a budge proof fit Top lash and bottom lash lock together Pre-curved band for perfect contour fit 100% human hair Iconic Demi Wispie style lash; shorter inner corner and longer outer corners Extra Volume..
Ardell Invisiband Fairies (Black #65026)These lashes feature an invisible, lightweight band that connects the hair strands to form a strip that ensures secure corners. They are knotted and feathered by hand for perfect uniformity, absolute comfort and an outstanding natural look.Size: 1 PairFeatures & Benefits: Sterile, safe and easy to use Natural look and feel Lightweight and reusableUsage In..